I was recently in Cape Town for a Sola 5 Conference and took time to do a little bird watching both at the home of my hosts (Winton and Barbara Gibbs) and at "the water front". I captured quite a few of them on camera and posted the photos on Facebook and Twitter. It crossed my mind afterwards that although Facebook and Twitter get a lot of immediate attention, in the long run hardly anyone ever fishes out your old updates and photos. Blogging does not get as much immediate traffic but the visits continue in trickles for a very long time. In the light of the comments I got on the photos, I thought I might as well preserve them here. So, for those of you who saw these photos on Facebook or Twitter, you might as well go on to other business. This is for those who did not! I like to think that my bird-watching is done in obedience to the Lord Jesus Christ who said, "Look at the birds of the air..." in Matthew 6:26. 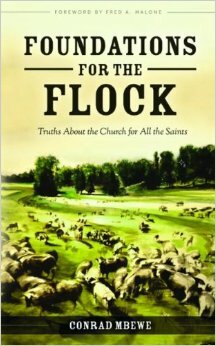 He wanted us to learn from them how they went about life without anxiety or worry. I also look at them in order to admire the beauty that God has put into the bird-kingdom. The beauty of some of these birds is breathtaking! Last year I was asked by a book publisher in the UK for permission to use one of my bird photos, which they saw on this blog. It was one that I took of the African Sacred Ibis, while Felistas and I were on our 25th wedding anniversary in Livingstone. This has compelled me to conclude that this must be the final resting place of the bird pictures I took in Cape Town. Here they are! Apart from attending the Sola 5 Conference in Cape Town, I enjoyed the beauty of God's creation--especially the bird kingdom. My hosts—Winton and Barbara Gibbs—have a bird paradise in their yard and so I took a few pictures. 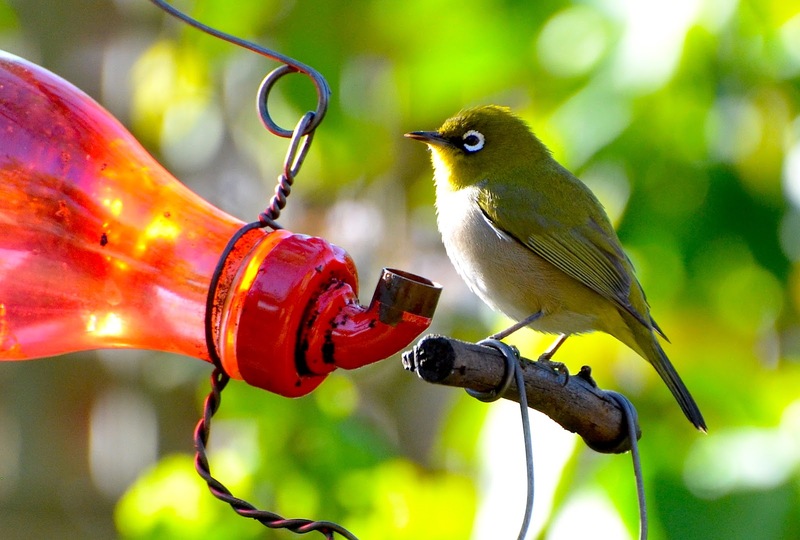 Here is one of them, a Cape White-eye, enjoying a drink. 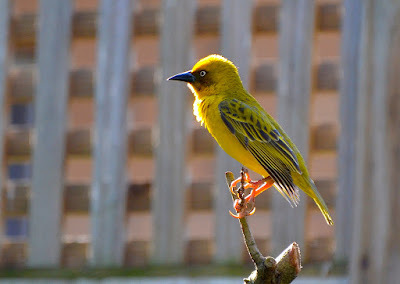 Below is a male Cape Weaver. Male Weavers make the most brilliant nests in order to lure females to themselves. If you have seen one you know that they are incredible! I keep one of their creations in my office. Above is a photo of a male Cape Weaver. Some of you may have begun to wonder what the female Cape Weaver looks like. Here she is! Below is the female Cape Weaver, with one eye on me making sure I do not pull a fast one. 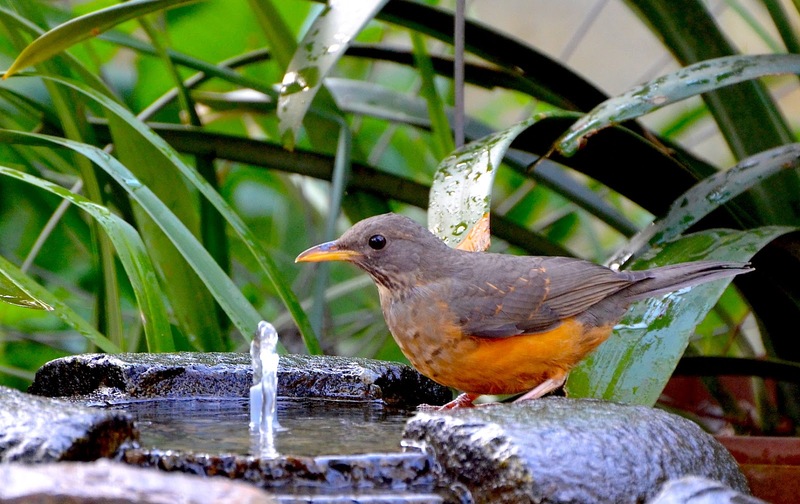 If you want to be visited by birds, one of the small investments you should make is that of a bird-bath. 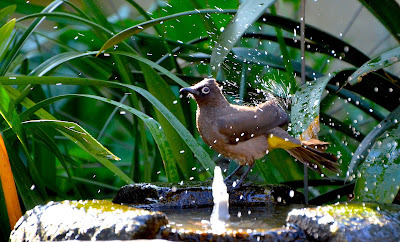 Birds love to come in for a bath after a hard day's work! Here below, a Cape Bulbul had one eye on me while enjoying a good bath. 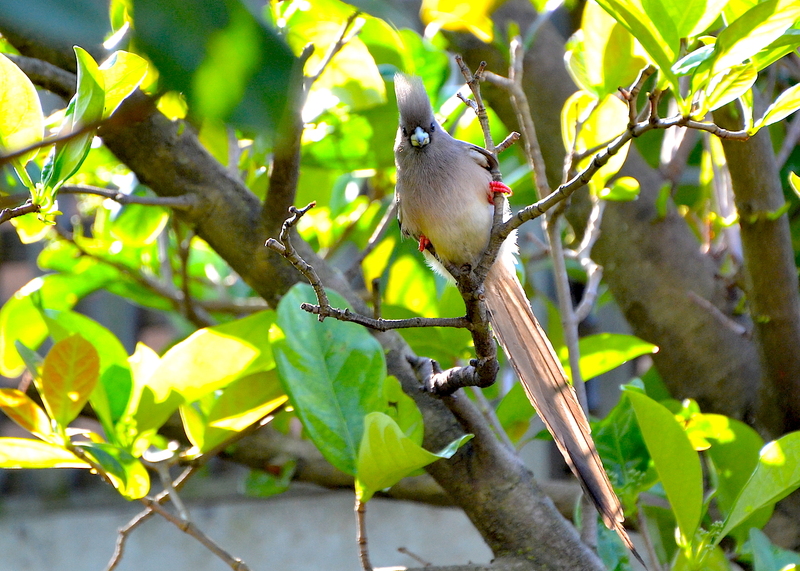 The Bulbul is common back home in Lusaka, Zambia. However, the white eye-ring is a unique characteristic of the Cape Bulbul. Okay, after a few photos of birds that are named after the Cape, here is a nice break. Below is the White-backed Mousebird. It's white bill and red legs set it apart from other Mousebirds. 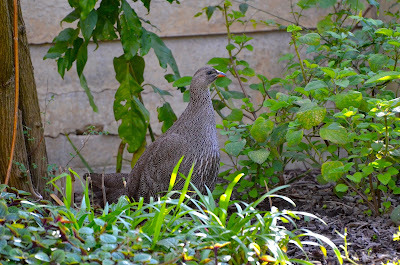 I first saw this bird in Namibia in the 1990s. It did not endear itself to me! Below is another "Cape" bird. This is the Cape Spurfowl, which is in the family of the tasty guinea-fowls that we enjoy in Zambia. The Cape Spurfowl has a red bottom bill and a dark grey top bill. They are normally seen in pairs, and so if you look carefully you will see the other one. 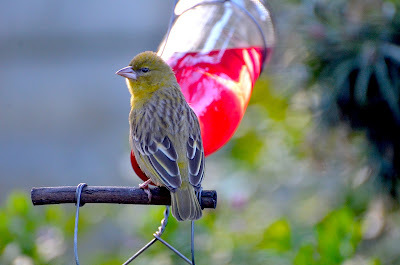 What amazes me about them are the details in their feathers. Look at this! In an effort to see more birds in Cape Town, we went to the sea front. Below was one of the birds I found relaxing there. It is the Little Egret, named thus in comparison to other Egrets. It is also found in Zambia. 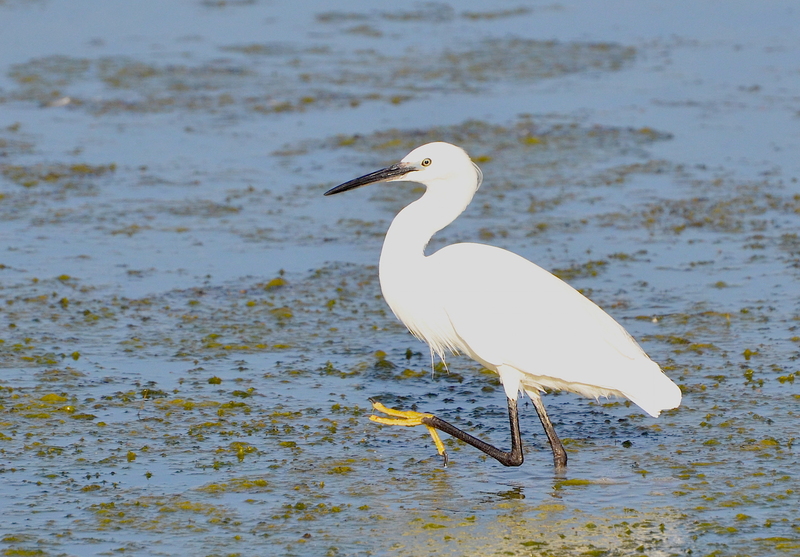 Egrets, like Herons, have long legs and necks, which enable them to stand in water and by quick action grab under-water creatures for food. This one was making its way into deeper waters "to go fishing" when I captured it on camera. 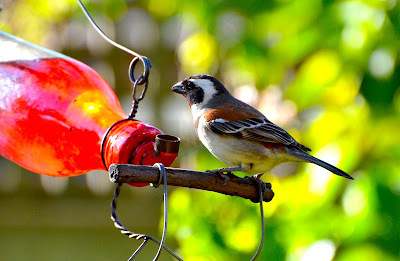 The next photo was by far my best shot as I continued my bird-watching. This is the Hartlaub's Gull caught in mid-flight. 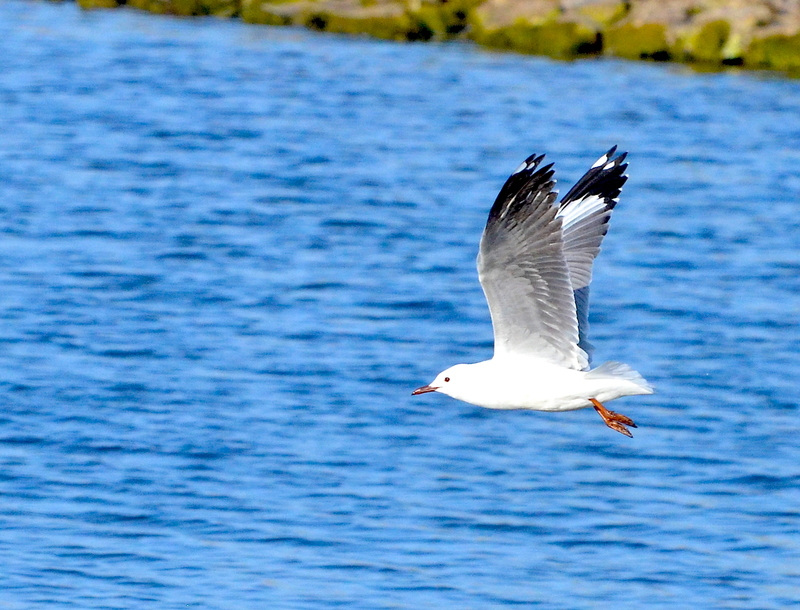 Sea gulls are fairly common around the world, wherever you have seas or large fresh waters. This species is found along the west coast of southern Africa. Perfect shot! 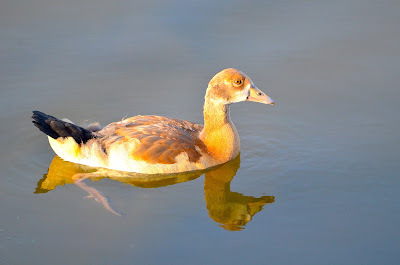 This next one is a young Egyptian Goose paddling away in a pond near the sea front in Cape Town. Adults have more colour in them. Ducks and geese were certainly created for water bodies by God. He gave them webbed feet for swimming and their feathers are totally waterproof. What I loved about this photo was the fact that I could see its paddling feet in the water and at the same time see its reflection clearly. You usually only achieve one or the other! Below is my final shot from Cape Town. You can breath now! Here is another bird that makes the Cape special; it is the Cape Sparrow. It is very much like the House Sparrow that hangs around Zambia, except that God has given it a little more colour. It is fantastic! That "C" formation of white around its black head is also its unique characteristic feature. Well, that is all the photos of birds from the Cape that I had for you. I hope you enjoyed seeing them! This is awesome! Thanks for posting the photos for public consumption. 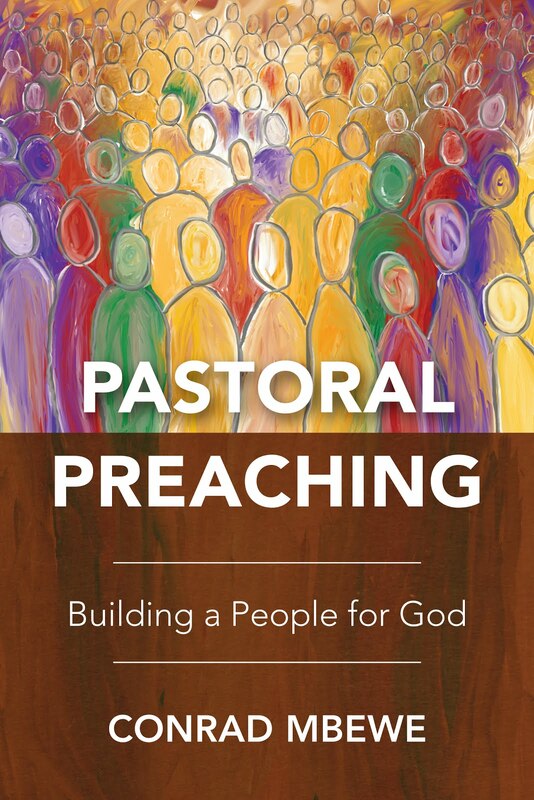 I'm a Baptist pastor from the United States who just started bird watching. 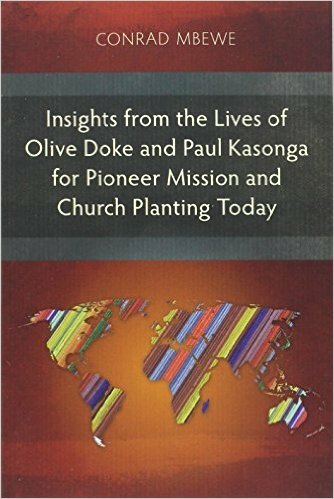 Thanks for the blog, your faithfulness, and the pictures.